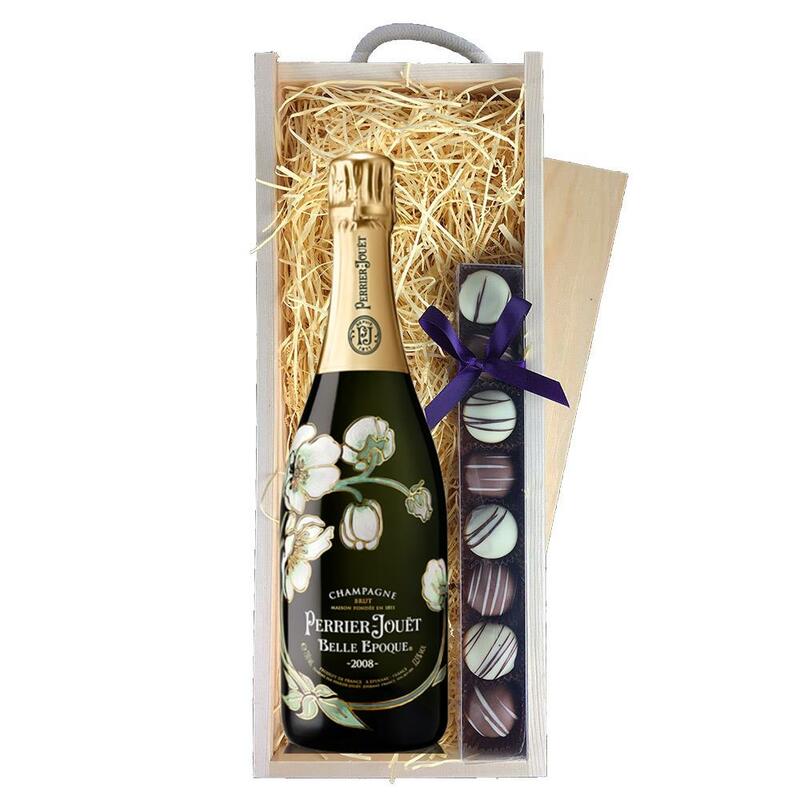 A single bottle of Perrier Jouet Belle Epoque Brut, Vintage, 2011 75cl and a single strip of fine Hand Made Truffles(100g) Presented in a wooden gift box with sliding lid and lined with wood wool with a Gift Card for your personal message. Send a single bottle of Perrier-Jouet Belle Epoque Brut, Vintage, 2011, Champagne (75cl)Presented in a stylish Gift Box with Gift Card for your personal message - Belle Epoque is a marvellous reflection of Perrier-Jouet's matchless expertise. This vintage Champagne, dominated by the noble Chardonnay grapes from Cramant has been made from the most prestigious crus in the Champagne region. It is distinguised by its finesse and its truly outstanding bouquet and fruity flavour.